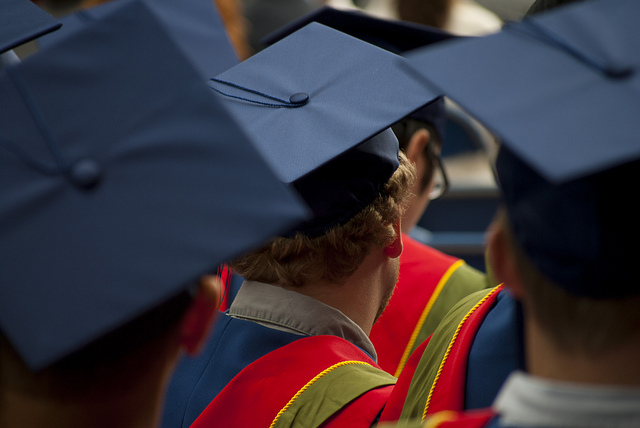 Every year more than 450,000 graduates (awarded with either Associate’s or Bachelor’s degree) are produced from post-secondary institutions. And that’s in Canada alone! In the US, that number is more than 2.4 million. While these numbers seem daunting (it certainly did for me), what are some ways that recent graduates can hope to increase their odds of being hired? Being a recent graduate myself, here are several methods I took to increase exposure. Most people know of LinkedIn, but don’t actually have a profile. Have one made ASAP! While I have heard it described to me as Facebook for professionals (minus the family vacation photos and the latest philosophical thought), it is more than that for new graduates. This is essentially an online resume for recruiters and companies to take a look and reach out to you if they think you are a right fit. Will you have tons of jobs offers after you create your LinkedIn Profile? Likely not, but now you have an online presence aside from your Instagram and Facebook profile. And for those of you who are thinking of a career that “doesn’t need” online presence (e.g. nurses, doctors, dentist), LinkedIn is a great way to network with other professionals in the same field and potential clients until you find a more specialized forum for your profession. After writing an article about how much (or little) an employer can trust a resume and cover letter, you might assume I would tell you to scrap it. On the contrary, I would still encourage creating a copy of both documents. As mentioned before in the previous article, “the hiring process of many businesses remain fairly similar and unchanged”. By not submitting a resume and cover letter, you are disadvantaging yourself and likely not even being considered in the hiring process. What I suggest is, rather than spend lots of time on your cover letter saying your biggest flaw is being a perfectionist, take the time to describe the tasks in previous positions on your resume. Instead of saying “filed documents”, phrase it in a cause-effect way for the prospective employer like “filed documents to increase company workflow”. If the task allows you to throw in a statistic, even better! Also, for those of you who have worked before, don’t create a grocery list of all previous jobs, include only roles that are related to the job you are looking for. If you are looking to be hired as an accountant, chances are, putting down barista is not going to help too much. Sometimes when searching online for jobs, we stumble upon what seems to be the perfect job. The problem then is, many people will stop their search and just hope to hear back from that one company. Don’t do that! While that company may seem to be the perfect fit, you should not stop looking. What if you don’t get the position? Then you would have wasted time that could have been better spent. Now that you have followed all the advice above, and landed yourself an interview, go to it! Even if it was the position you were using as a back-up to that “perfect” job, get to that interview! Remember that the employer is looking for someone to fill the position just as much as you are looking for a job. At the interview, treat it as a conversation to better understand the role and if you don’t think it fits you, you can respectfully decline just as the employer can choose not to continue with you. Also, by going to more interviews rather than less, it becomes good practice for the next interview you have to do. This leads me to my last point: don’t be so picky! Should you have an idea for what kind of work you want to do? Yes. But that doesn’t mean to filter all the jobs and look specifically for a manager position or the highest paying. Remember, you recently graduated with little to no experience. That afternoon you spent helping your aunt fix her computer does not make you a well-experienced computer hardware engineer and employers know this. Once again, employers are people too. Work hard and work up. Hopefully, all of this puts you in the right mindset for job searching. Best of luck to all you job hunters, and if you have any questions or comments, let me know what you think!